Though students did not have the day off for Veterans Day Monday, they and other campus affiliates found a way to honor the holiday, which this year coincided with the centenary marking the end of the First World War. 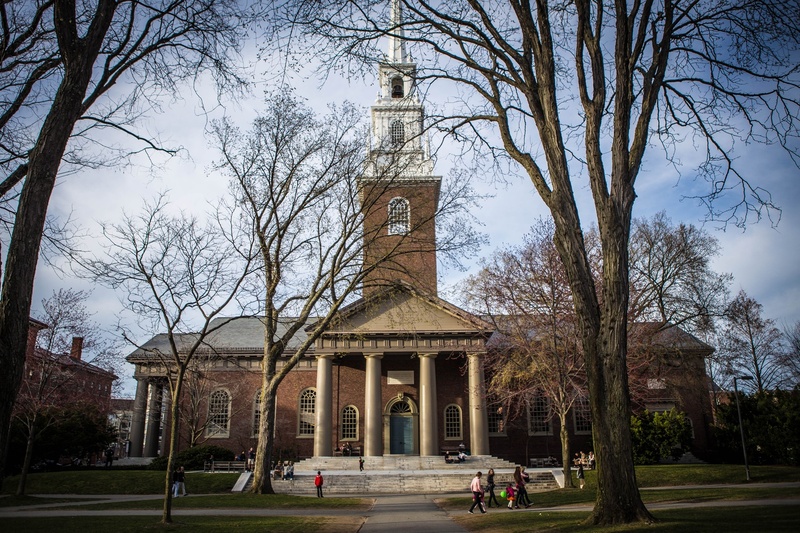 On Sunday, Memorial Church held a service commemorating Harvard affiliates who have died in war. The ceremony began with undergraduates in Harvard’s Reserve Officers’ Training Corps leading a procession and laying down a wreath. This was followed by an “act of commemoration” for the dead delivered by Jonathan L. Walton, the minister of Memorial Church. Former Massachusetts Governor Deval L. Patrick '78 gave a guest sermon entitled “A Soulful Nation.” He told an anecdote about a Holocaust survivor during World War II who experienced an act of kindness from an American soldier after being liberated. Patrick said this story has had an enduring impact on him and on the Holocaust survivor, who he knows personally. Patrick said his story shows the importance of patriotism. “We honor all service today, but we are especially mindful of this special brand of patriotism, because this type of patriotism shows that our goodness makes us great,” he added. On Monday, Memorial Church hosted guest speaker Richard Martinez III ’21 for their weekday morning prayers. In an interview after the ceremony, Martinez, who served in the U.S. army stationed in Iraq for three-and-a-half years, talked about what he considers to be the importance of Veterans Day. “Veterans Day means to me not what most people normally associate with it, in the sense that there is a huge distinction between Veterans Day and Memorial Day, and it’s not the majority of people’s fault that they get the two mixed up," he said. While Memorial Day commonly recognizes members of the armed forces who have died, Veterans Day intends to commemorate all veterans. Martinez said some veterans face challenges upon returning home due to the political nature of the military. He added that people should not let preconceived notions get in the way of respecting veterans. “Veterans Day is more so about the people that are still here, that are still trying to do things,” he added. Veterans' Counsel Issues "Bulletin 2"